The Centre for Counseling, Nutrition, and Health Care (COUNSENUTH) is a Tanzanian non-profit, non-governmental organization working to scale up nutrition work in Tanzania. The mission of COUNSENUTH is to improve quality of life for vulnerable groups through cost-effective, evidence-based, locally appropriate nutrition Interventions. 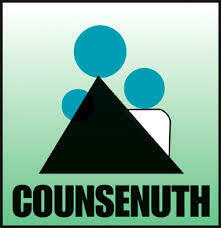 COUNSENUTH achieves this mission by building a multi-sectoral advocacy movement for better nutrition governance through active engagement with citizens, policy makers, and government authorities at all levels. COUNSENUTH is inviting applications to fill THREE positions of Program Officers-Nutrition, which will be based in Mbeya region. Applicants should be capable of working with people of different nationalities and cultural backgrounds. The incumbent must rave very good interpersonal skills, highly motivated, creative, team player with high degree of integrity and must be fluent in both written and spoken Kiswahili and Enqlish. These positions will report to the Program Manager for Project Implementation and will be responsible for overseeing the implementation of the nutrition component as well as integration of other components addressed by the program in a selected district. •	Have at least 3 years working experience in nutrition or related project/program. •	Have experience in community engagement/mobilization and capacity building process. •	Have experience of working with Government institutions, civil society organizations and community partners. •	Work with Program Manager, Supervisor and other team members in coordinating and facilitating implementation of program activities . •	Work closely with the Local Government Authority, including the District Executive Director, the District Medical Officer, the Regional f District Nutrition Officer in planning and implementing nutrition activities in the district. •	Provide technical support to the District Nutrition Officer, the District technical team and Care Providers implementing the program. •	Prepare and timely submission of activity, monthly, quarterly and annual reports. •	To undertake any other duties as assigned by supervisor. All application should be sent via EMAIL only. Please indicate the position title on the subject line of your email. Only short-listed candidates will be contacted.